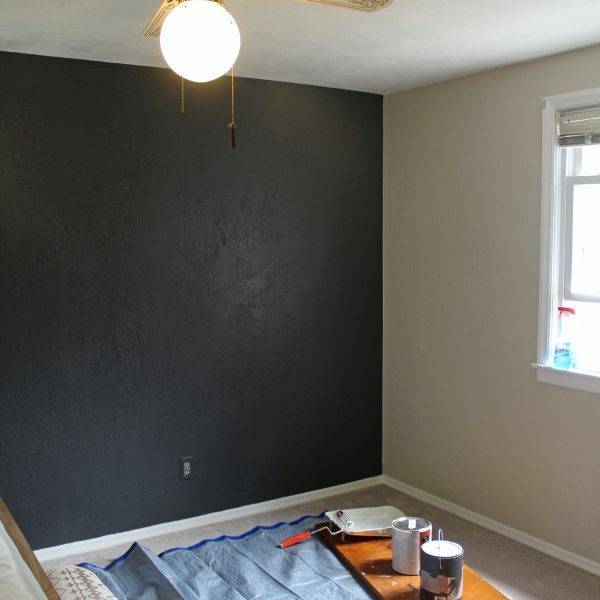 Thank you to Infinity Jars for sponsoring this post! 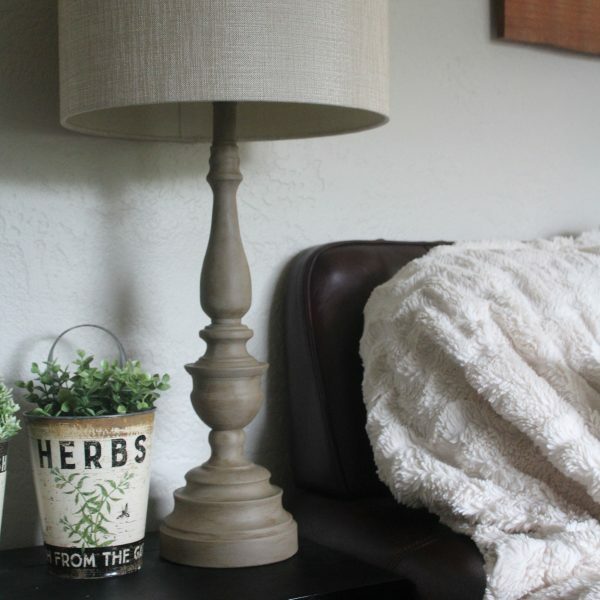 Every year when Spring rolls around, I get the urge to freshen up my home by doing some Spring cleaning and adding in some fresh Spring decor (plants, plants, and more plants!). 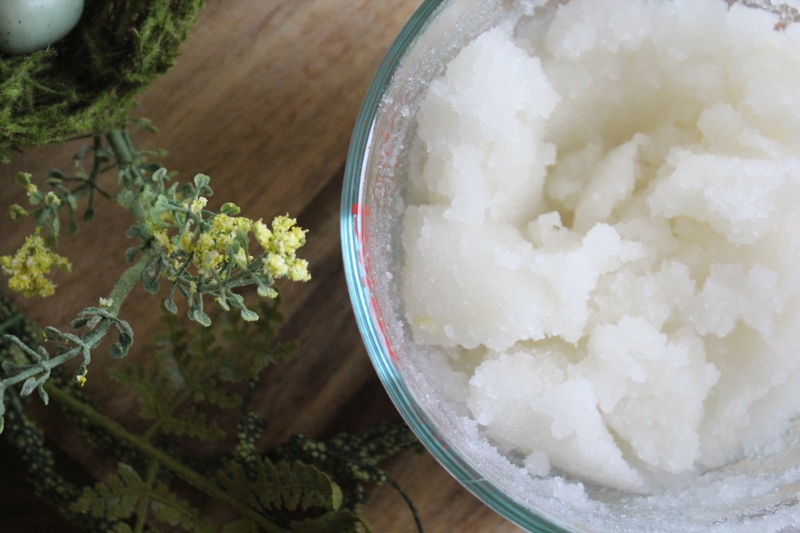 But this year, as the temperatures sloooowly start to warm up (I’m emphasizing the word “slowly” because I’ve been freezing all week – this girl needs sunshine), I have been getting more into creating natural products for our home. The other day, I realized we were out of glass cleaner. 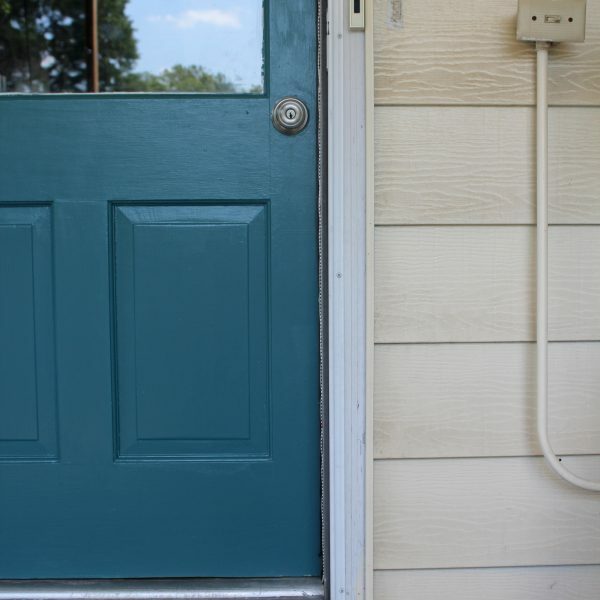 I thought about just leaving the toddler fingerprints/dog nose smudges on the windows and skipping window cleaning altogether, but then decided to test out a homemade, all-natural recipe with ingredients I already had on hand. It’s a good thing it was safe and non-toxic, too, because immediately after I sprayed the windows Henry was licking them. And he continued to lick/touch/press his nose to them after I had wiped them all clean. You win some, you lose some, right? 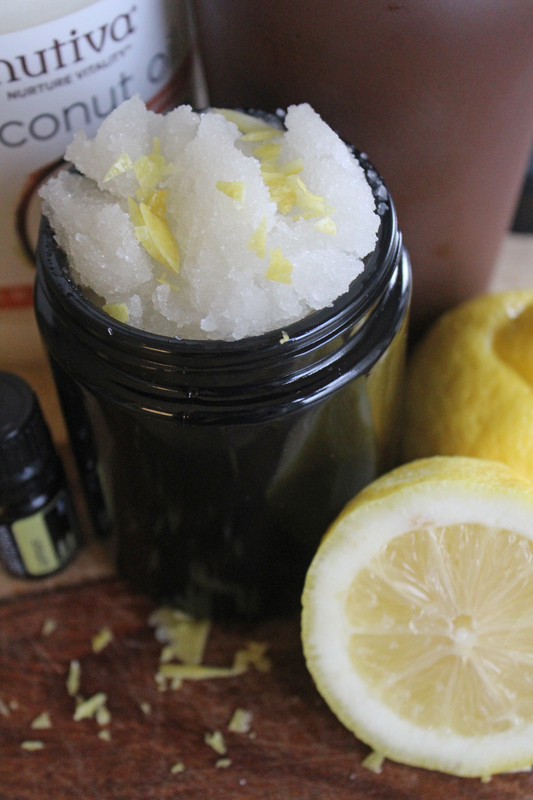 First up in the series: this amazing coconut oil + lemon sugar scrub. I have been keeping it next to my kitchen sink for scrubbing my hands after cooking (and let’s be real, in the middle of the day too because it smells so good). 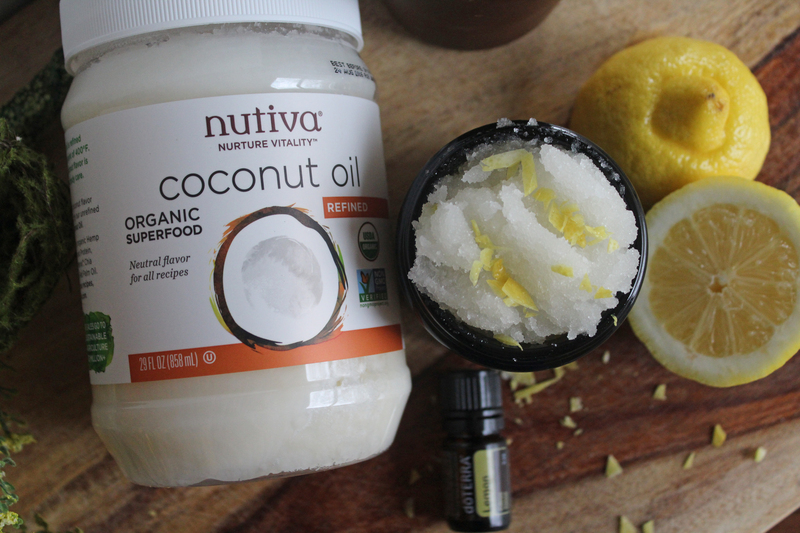 The lemon makes your hands smell sooo fresh, the sugar is super-exfoliating, and the coconut oil leaves your hands feeling really soft. Seriously, this stuff is amazing. 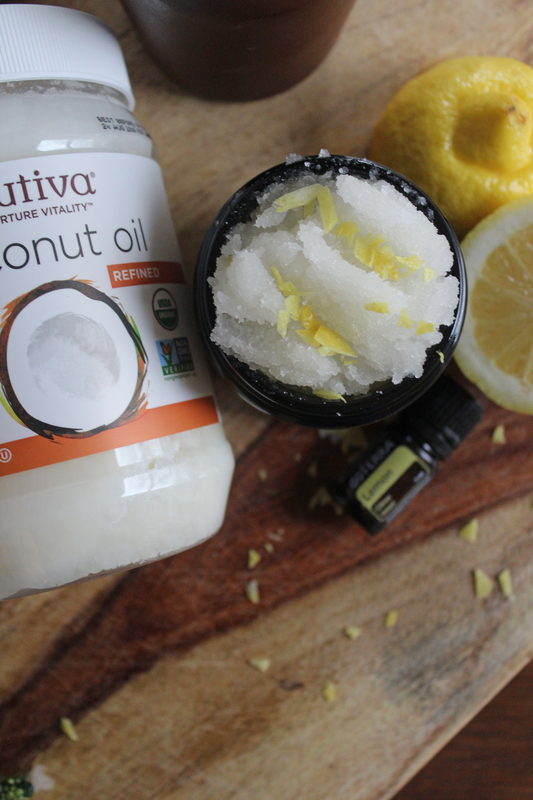 Heat coconut oil over low heat and sprinkle in some lemon zest. I added the zest while the oil was heating so the lemon scent would start to infuse into the oil. Pour 2 1/2 cups of sugar into a bowl. Once the coconut oil is completely melted, slowly add to the sugar and mix well. 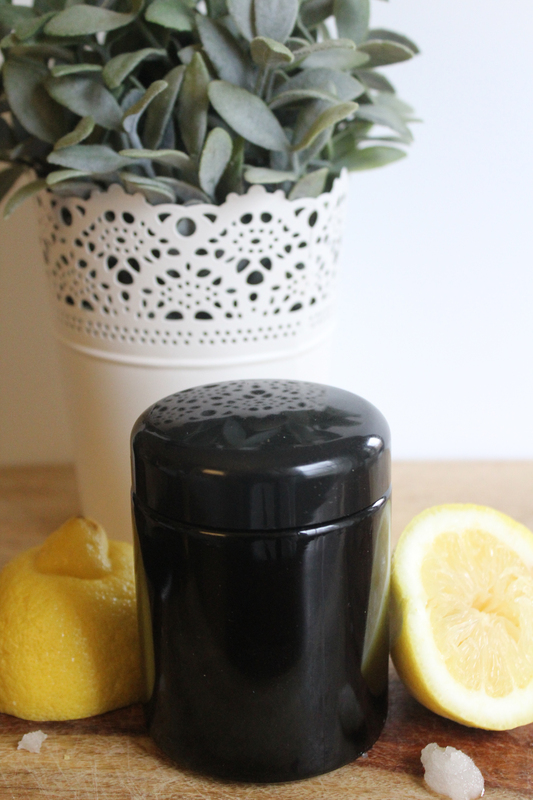 Add about 30 drops of lemon essential oil (more or less is fine, it just depends on your preference). Then toss in remaining lemon zest and a little juice from the lemon. Mix well and store in an airtight jar. Also here’s a picture of the jar with the lid on, just so you can see what that looks like! It’s a 250 ml glass screw top jar (you can find it [here]). 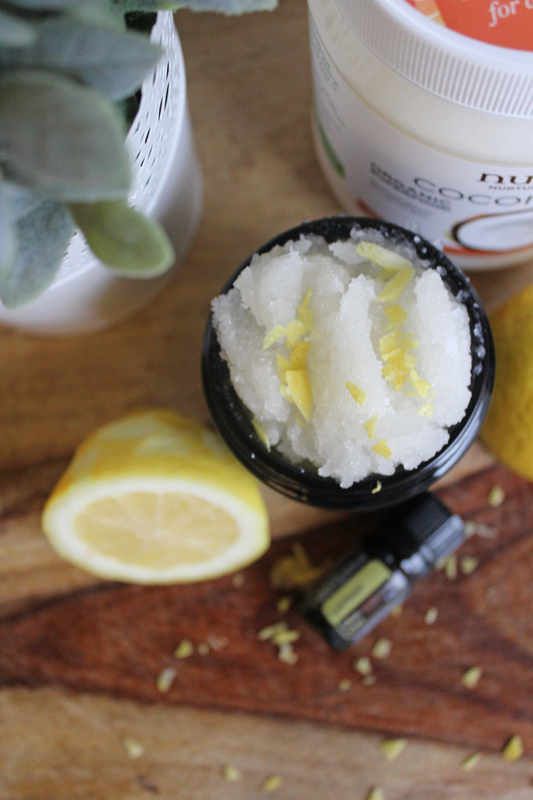 I hope you enjoyed this DIY coconut oil + lemon sugar scrub blog post! Thank you! I looove lemon too! Hi, I loved reading your article. Very informative. We are also manufacturing cold pressed virgin coconut oil with other natural ingredients as coconex oil.